Mask using Instamorph painted in acrylics, and made over this clay sculpt. Now mostly finished bar some necessary sinister moustache twirling and eyebrow trimming. Then I guess he’ll go looking for some railway tracks and a helpless victim. 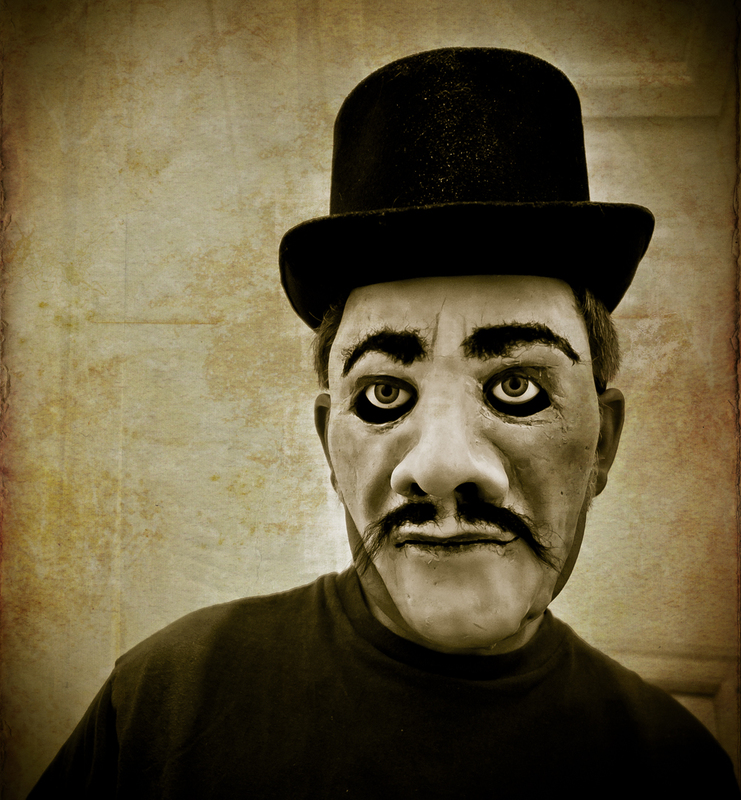 This entry was posted in masks, portraits and tagged instamorph, mask making, polymorph, thermoplastic, top hat, Victorian, villain. Bookmark the permalink.